Games Round-up Our second helping of our console game roundups, caters for those playing on Microsoft's Xbox 360. Sure you may be preoccupied connecting up smartphones through the new SmartGlass feature, but we wouldn't want you to be caught out for Christmas and be lost among the hundreds of new titles, unsure of what to purchase. So perhaps take inspiration from some of these, sent to Vulture Central over the last few months, either on disc or as downloadable content. Here are the ten that tickled my fancy most when opting for the fatter control pad of Microsoft's machine. As usual, we've had to omit a fair few, such as Fable: The Journey, which simply failed to cut the dijon, or Angry Birds Trilogy for Xbox – in my view, it didn't really fly. While it's a game I only ever play when my other half brings a crowd of her friends over, honest, it's hard to be too critical when Dance Central provides so much entertainment. These dance games are like the new-kid's karaoke and as long as we've had enough grog to overcome our inhibitions, even the most stringent of hetereosexuals will get their groove on. 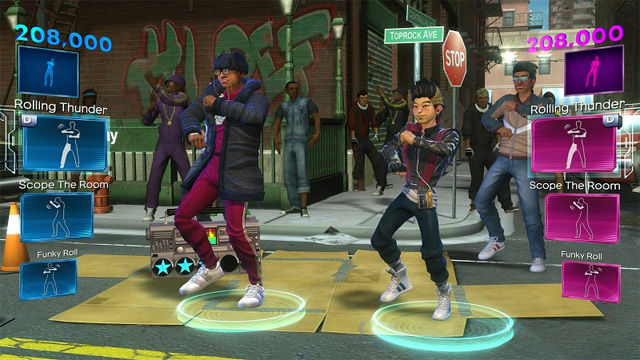 Harmonix's annual Kinect boogiefest certainly has the edge for me over Ubi's Just Dance 4. For starters, there's an awesome story mode that spans several decades incorporating relevant hits from yesteryear. Do the Hustle! 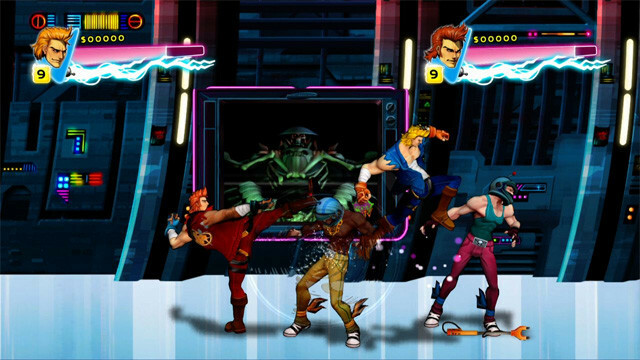 There's also a crew battle mode, where two teams of up to four players can challenge each other. For those group gatherings, though, it's all about Party Time, which packs several competitive games and encourages freestyle dance offs. Just as well, because I'm terrible at following instructions. Fans of 1980's arcade beat-em-ups will revel in nostalgia with this game. DDN is a re-imagining of past Dragon outings, pulled together with the original storyline and an exhilarating axe-thrashing soundtrack that'll feel familiar to the old school gamer generation. A tradition dictates, the dialogue is cheesy as you traverse the streets collecting cassettes and smashing special attacks upon the waves of thuggish enemies. You'll eventually reach the end of the level where you'll face a typical boss, skeleton dude Skullmageddon. Brilliant. The controls have evolved with dodges and counter attacks and certainly feel more advanced than the moves we were limited to in the arcade days, but it does get kind of repetitive. Not that you'd expect anything less.